CONSIDER the following argument: Whilst doing almost nothing to help the housing crisis, various arms of the Irish State are in fact actively involved in actions which are reducing the supply of affordable housing and involved in actions which are making homes even more expensive to buy or rent. In Dublin through the last 12 months state owned or controlled bodies have been involved in property deals and disposals which will see at least 1,400 new homes completed and then handed straight over to private sector “super landlord” funds in order to rent them out at maximum profit. This is happening at a time when state completion of homes for public housing or affordable housing has been at a record low level for more than a decade, when 10,000 are homeless and 100,000 are on the housing lists — the worst housing crisis since the clearance of the tenements. It’s happening because state owned and controlled land resources are being sold for the highest prices possible, to “super landlord” funds which will milk the profits of higher rents in the coming years. A key example is last year’s disposal of an 8.5-acre tract in Montrose, Dublin 4 by state owned RTE. The buyer was Cairn Homes which paid €107.5m, making it perhaps the highest price shelled out for residential land in Ireland in a decade. Increasing land prices are inextricably linked to increased housing costs. Agents involved in residential land sales across the board were flabbergasted at the price paid for a site originally guided at €75m. The previous highest price paid for residential land was paid by bust developer Ray Grehan who shelled out an eye watering €62m for 6.5 acres in Howth in 2007. 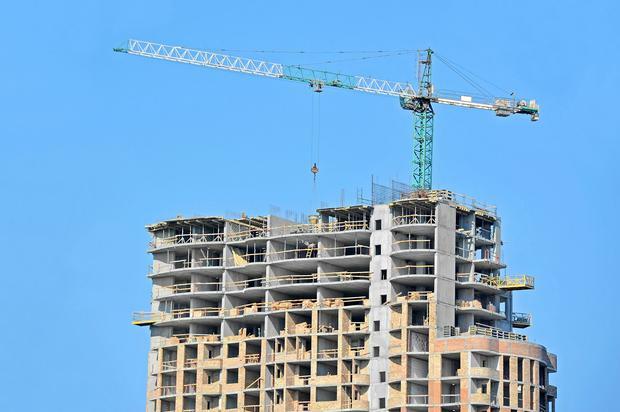 Sources experienced in residential land sales actually asserted that the €107.5m tag “doesn’t add up” in terms of “regular” development at any price above €60m. By “regular” development, they mean the usual model of developer moving in, building homes and then selling them on singly to the market in phases. On one hand it’s great that RTE gets so much cash for its land to reinvest, presumably in its public broadcasting role. On the other hand, here is a state body flogging off vital land resources for housing in the middle of the worst housing crisis the state has seen since the times. Record prices have to be recouped. This means that the developers will have to sell the finished apartments for very high prices individually, thus contributing in no small way to property price inflation. If they flog the whole lot to a fund, it will rent them out at the highest market rents possible. New homes are not subject to rent controls. The ultimate new owner investors which the state is enabling here will therefore have a huge commercial advantage over private mom and pop landlords who bought a rental property instead of their pension and now have the rents restricted on their units via rent control zones. Meanwhile the sale of the units to a fund to rent out en masse also prevents wealthier older people with larger homes from buying the units to live in, in order to trade down from bigger homes, in turn preventing their empty nests from being bought by families trading up, in turn preventing them from selling up their smaller homes to first time buyers, in turn contributing to the shortage. The Irish state is picking its own pockets for the benefit of the private sector. It all renders the lip service the housing minister and his colleagues in Government are paying to the housing crisis as being shabbily hollow. So the State’s act of seeking, and then achieving the very highest market price for the RTE land (and without conditions) and thus setting new value precedents and records, is actively contributing to the escalating cost of accommodation overall and is actually making the housing crisis much worse. Given that the state will ultimately have to pay towards housing the 100,000, wouldn’t the state have been better off entering into a partnership agreement with a developer to fund affordable homes on this land? Or a land swap to enable affordable homes or public housing to be built elsewhere in a less expensive location. Nama meantime has been doing the same thing - busy completing developments on sites which went bust in the crash, and selling their properties off at top dollar to private investment funds like Irish Life, Kennedy Wilson, Hines, Broomfield Residential and Roundtree Capital and Patrizia. In turn they will seek top rents in mass lettings. Last month for example it was announced that 274 of the 507 fully completed apartments across nine blocks, have been placed for sale at the Nama controlled site at The Grange in Stillorgan, Co Dublin, formerly owned by Ray Grehan.The funds are also buying from private vendors and cutting out punters. Seven months ago it was announced that the IRES Reit fund was buying 99 houses (not apartments) at the Hansfield Wood scheme in Clonsilla, Dublin 15 — houses that normally would be the target of first time buyers. Last week Irish Life bought 262 apartments in Dundrum in one scoop. These were due to be put up for sale individually. One report stated that there had been more than a thousand “expressions of interest”. The Fernbank units are again in a mature area where older couples with empty nests want to trade down. It is estimated that “super landlord” funds spent a staggering half a billion euros in 2017 on block buying housing, largely in Dublin. Yesterday NESC published a report warning that Ireland cannot solve its housing crisis when both private and public lands are being disposed of at inflation causing prices, and not being managed to provide affordable housing, as is the case in other European countries where usage in land is partnered by the state or restricted in development to the housing types which are required. In particular it criticised State disposals and the actions of Nama.